The Foe of Swords probably derived the name mail from the Latin Macula, meaning net. 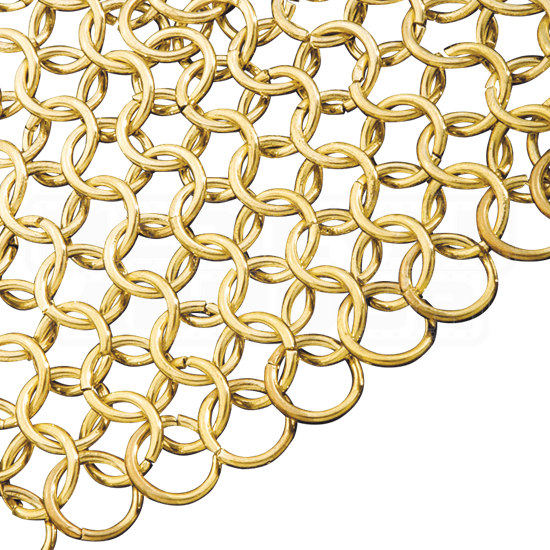 This shirt features steel rings plated with brass for long lasting good looks. Faithfully copied from examples in museums and private collections, the outer link diameter of each link is about 7/16 an inch, while the inner link diameter is about 3/8 an inch. 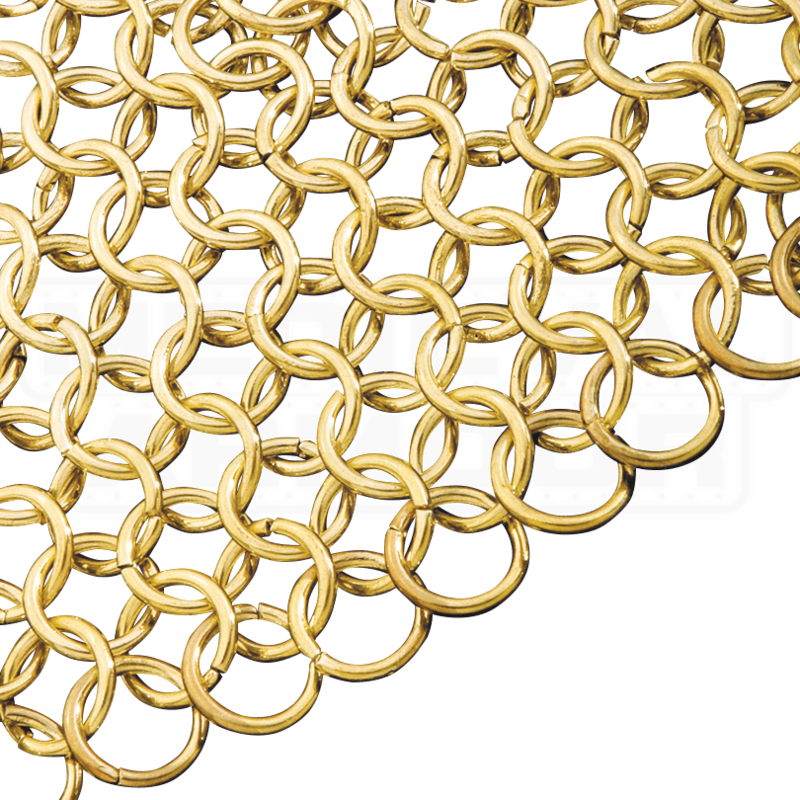 Our Brass Chainmail hauberk fits up to a 54 Inch Chest and is approximately 33 inches long. The sleeves are approximately 18 inches and hang to just below the elbows on average height warriors. We recommend keeping this mail oiled at all times. The Brass Rings look stunning when going into battle, especially when the sun hits them.